There are 2 dialogues. First is "Inviting someone to the cinema" and second is "At the ticket office". The document also includes vocabulary "Types of films". 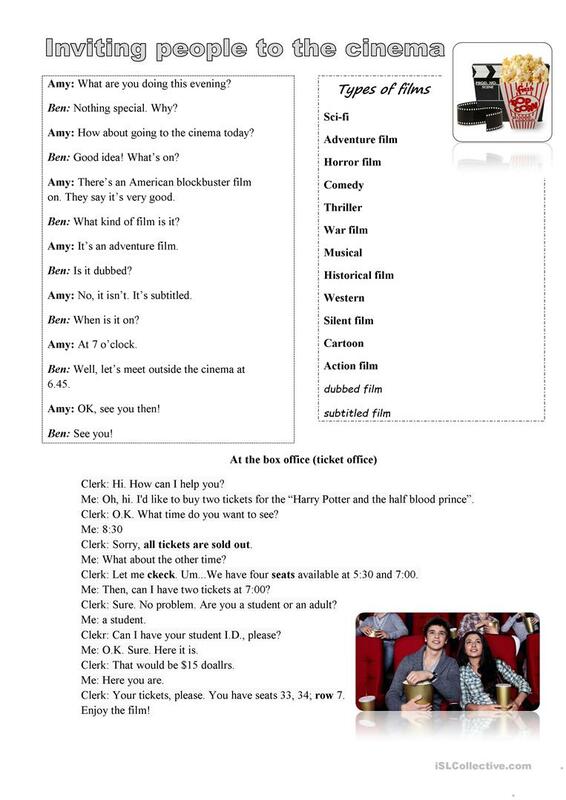 After reading dialogues students can practice inviting each other to the cinema and buying tickets at the box office. The above downloadable printable is intended for high school students and adults at Elementary (A1), Pre-intermediate (A2) and Intermediate (B1) level. It is useful for improving your pupils' Speaking skills.